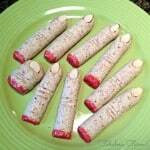 Okay, so I am not a fan of Almond Joy candy bars. There, I said it and I’m willing to risk the backlash. The weird thing is that I love chocolate, almonds and coconut so in theory I should love Almond Joys too. But the strange texture and the sicky-sweet coconut make it nasty and inedible in my humble opinion (although there are those in my family who would disagree). 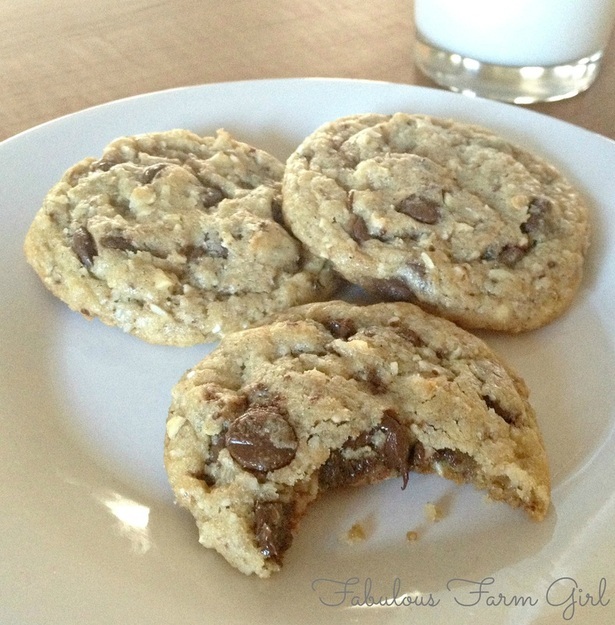 In an effort to keep the peace I added almonds and coconut to my favorite chocolate chip cookie recipe and called them Chocolate Almond Joyful Cookies. Guess what? They are AMAZING! Almond Joy lovers and haters unite! I called them Chocolate Almond Joyful Cookies because they truly make me feel joyful. Oh and also so I wouldn’t get sued by a particular chocolate bar company. Almonds–no matter what kind of nut I’m using, I always toast them to bring out their flavor. It’s an extra step and you can skip it if you want but it really will take your cookies over the top. Toast the almonds in a dry non-stick frying pan, stirring constantly until nuts just barely start to brown and smell, well, nutty. Transfer to a bowl immediately to stop the cooking process. Coconut–I only use unsweetened coconut because that sweetened stuff is nasty and has ridiculous amounts of sugar in it. You can find unsweetened coconut at any grocery store that has a bulk food section. I always toast the coconut for extra flavor (see almonds above). Vanilla–I only use pure vanilla extract. So should you. Period. Baking Powder–aluminum-free because… why is there aluminum in baking powder? 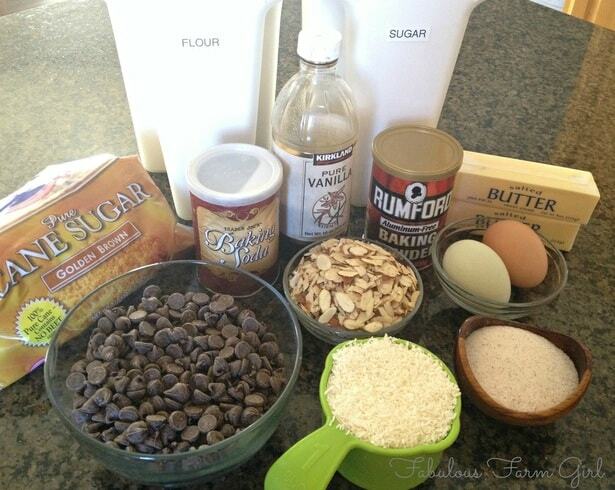 Chocolate Chips–I only use semi-sweet because I like it and according to Dr. Oz it’s practically a health food. But seriously, whatever kind you use make sure it’s the best quality you can get your hands on. My favorite is Guittard, but Kirkland brand from Costco is surprisingly good too. Butter–I only use real butter. No margarine, no shortening. Just butter. Period. As I already mentioned, I had a cookie business for a while and in that year when I made literally thousands and thousands of cookies, I learned a few things. I might do a post on it someday. 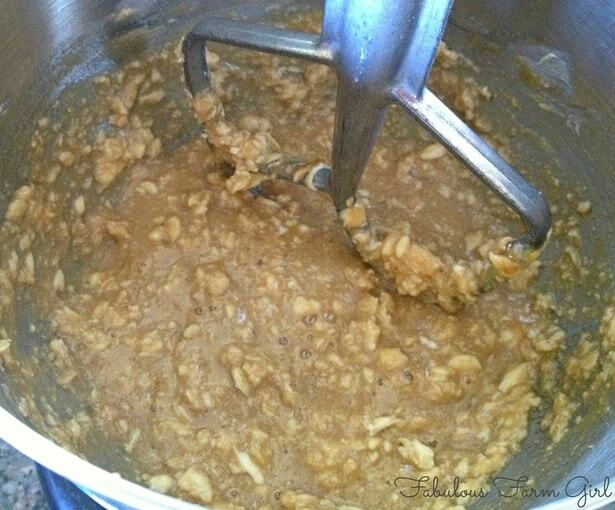 First just throw your sugars and wet ingredients in a stand mixer. The only trick is the butter–you don’t want it cold and you don’t want it room temperature. The only way to achieve this is to take the butter right out of the refrigerator and put in in the microwave for 15-20 seconds, turning the sticks once after 10 seconds. It should be just barely soft when you squeeze it. Despite what every other cookie recipe on the planet tells you, don’t cream the butter. Blend on low just until the butter is broken up to the size of large peas (think pie crust here). Seriously, stop mixing before you think you should. In a separate bowl mix your dry ingredients together very well. Don’t skip this step because once you add the dry stuff you want to mix the dough as little as possible. Before the flour mixture is completely incorporated add the chocolate, nuts and coconut as these will facilitate the mixing. Stop when it is just barely mixed together. Put the dough in a plastic container and stick it in the fridge for several hours or even overnight (if you have that kind of will-power). 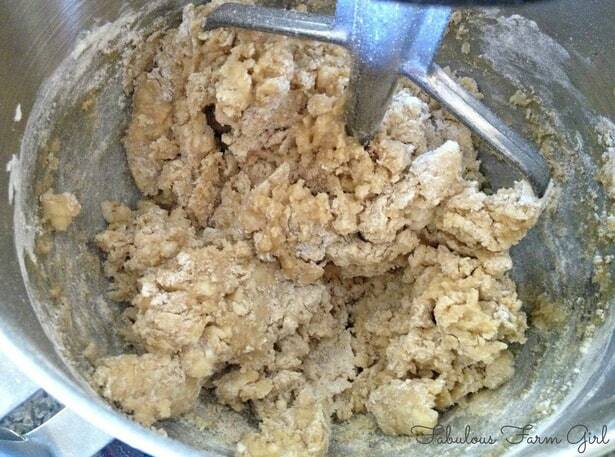 This will help develop the flavor of the dough and also keep it from spreading too much. Cold dough is a must when baking any cookie. I can’t believe how much I love these cookies. I was never giving up my severe aversion to Almond Joys so for me these wonderful cookies aren’t a replacement. But, when I asked the Almond Joy lovers in my house to choose between the candy bar or the cookie, they all chose the cookie. It’s the small victories that count. Remove butter from fridge and microwave for 15-20 seconds, turning sticks once after 10 seconds. 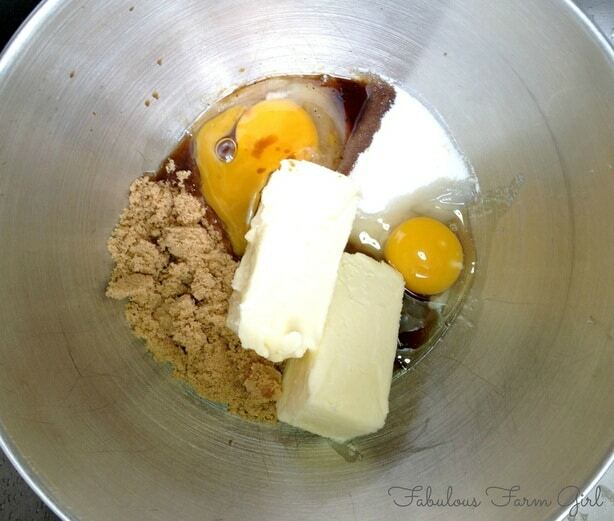 In a stand mixer put in both sugars, eggs, butter and vanilla. Mix on low until butter is the size of large peas. In a separate bowl add flour, salt, baking soda and baking powder and mix very well. Add dry mixture to wet mixture and mix on low until flour is almost incorporated. Add chocolate chips, nuts and coconut and blend on medium-low until barely incorporated. Transfer to a plastic container and refrigerate a few hours or overnight. Preheat oven to 350 F. Scoop out a generous tbsp. of dough and form a ball. Place on cookie sheet about 2″ apart. Bake for 11-12 minutes, until cookies are just barely set. Remove from oven and leave on tray for at least 5 minutes so cookies can finish cooking. Serve immediately with a glass of ice-cold milk. * I used sliced almonds because that’s what I had but they did break up very small in the mixing process and while you can taste them were harder to detect. I’m talking mouth-feel here. If you use slivered almonds they would stay chunkier and easier to detect (again, mouth-feel) which my husband, for one, would prefer. You choose. Spring is upon us! It’s time to shoo out those dust-bunnies and wipe off the grime! All you need are some quick tips and DIY recipes using Essential Oils and other non-toxic ingredients. Your whole family, including your pets, will breathe easier when you take an all-natural approach to cleaning. Simply fabulous! Join me Wed. Apr. 1 at 12:00 MST for my fun and informative webinar Spring Cleaning With Essential Oils. You are even more amazing than this recipe! Hey Leah, This is the best blog ever!!!! I love these cookies and can’t wait to meet you next week at BYB2014!!! SO excited!!! I’m an Almond Joy lovers so I know I would love these! You have such a cute blog! It seems that we have some things in common…I live on a farm where we milk cows and harvest hay, grain and most of all boys!! Can’t wait to meet you this weekend!! Thanks Amy. I was also thinking we probably have a lot in common. For one, I would love to have a milk cow (which is easy to say when you don’t have to get up at 5 am). I hope we meet up at the conference (a bunch of us are going for pizza Friday night if you want to join us). Two-thumbs up for your blog to anyone reading this. These really do look heavenly. And I have to say your photography is great!! Very clean and bright and it’s so nice to have picture tutorials. Thanks! You’re in good company Elizabeth! I’m the only one in my house who doesn’t like the candy bar but since I do the grocery shopping that means they never get purchased. I like to think of these cookies as my contribution to world (well ok, household) peace. LOL. I would definitely recommend the slivered almonds for you as it more closely mimics the whole almonds in an Almond Joy. Thx for stopping by. Any advice to help these turn out in a high altitude area? Hi Rachel–you’re in luck. I live in the mountains of Utah at 5,600 ft. so all my cookie recipes are high altitude since that is where they were developed. Make the recipe as is an you’ll be fine. Actually, better than fine. With a warm cookie and a glass of cold milk you’ll be pretty close to perfect. Enjoy! These look seriously amazing! Can’t wait to try them! Thanks Lauren! You’re going to love them. I love nuts, coconut and chocolate, so these cookies have my name all over them. Must bake them today! Awesome Sandy! Do come back and let me know what you think. Thanks for stopping by! These look way more tasty than any Almond Joy bar. I must try these. Visiting from SITS. Have a great weekend. You hit the nail on the head Debra. Way more tasty, for sure! Thanks for stopping by. I just picked another link to click on at SITS and it is yours! Too funny…your two links aren’t even close to each other. I love this combo too! Your cookies sound wonderful! Pinning! Hi Michelle–thanks for stopping by…twice. You’re gonna love these cookies. They really are one of my favorites. Have a great week! These cookies are conjuring up all sorts of joyful thoughts! Gorgeous texture! Hi – I am visiting from SITS – hope your weekend is wonderful! Thanks Shashi! They’re conjuring up joyful thoughts for me right now too. I may have to pull out the KitchenAid! And the texture is as good as it looks. Thanks for stopping by! Yummy! I love the chocolate-coconut-almond combination, but like you, think “Almond Joy” is gross. It’s far too sweet, and doesn’t even come close to tasting natural in my opinion. Wow, Michelle–I’m impressed with your resourcefulness. I am gonna try that next time I want the flavor combination but don’t have time to make cookies. Oh but I do love these cookies so maybe I’ll do both. LOL! Thanks for stopping by. My brother would love these. I’m allergic to coconut but they do look yummy. Hi Leslie–thanks for stopping by! You can just make them for your brother as they are and that would be very nice of you. Or even better, leave the coconut out and make them for yourself. LOL! Have a great week. 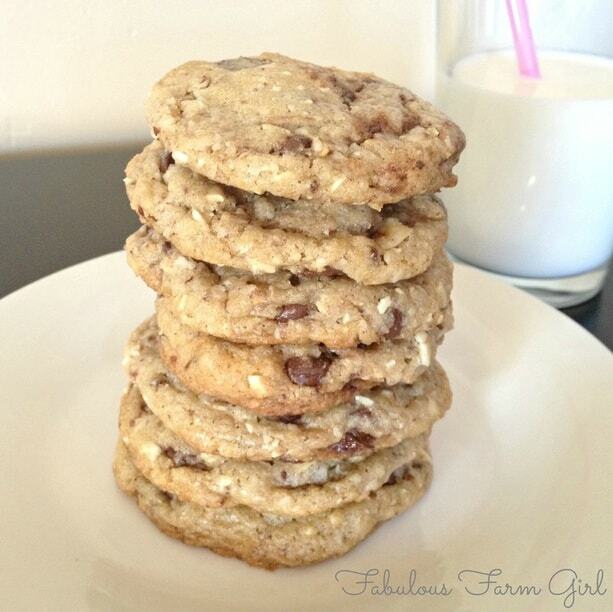 Hi Ceena–thanks for stopping by.This recipe is actually an adaptation of my chocolate chip pecan cookies. I switched the pecans to almonds and added the coconut to try to mimic an Almond Joy. So yes, you can certainly replace the almonds with any nut you like and just leave out the coconut. They will be delicious. Enjoy! These cookies look amazing! I don’t like Almond Joy bars either but like you, I love the individual ingredients of almond, coconut and chocolate. I am going to try these! Hi Jes–thanks for stopping by. You are going to love these cookies, I promise. Heading over to your link-up now. Have a great week! I really need to try these. YUM!!! I would highly recommend it, Charlotte. Have a fabulous week and thanks for stopping by! Bookmarked! Thanks for sharing this recipe, I can’t wait to try it! I can’t wait for you to try it either, Magi. You’re gonna love them! Thanks for stopping by. Oh my goodness – I made these tonight and they were uh-mazing. Best cookies I’ve ever made, hands down! Thank you! Wow, Tomi Ann–you might have to be my new BFF. LOL! Your comment made my whole week! I’m so glad you actually made my cookies and came back to give your (very complimentary) opinion of them. It means so much and I’m glad you enjoyed them. Have a fabulous week. You definitely improved mine! Wow- these look amazing! Totally trying this! Nice to meet you at SITS! Thanks Kristen! They are definitely one of our family favorites. Enjoy and have a great week! Oh yum! I just had to pin this to our Moms HEART Chocolate board! Delish! Thanks Norine! This is one of my all-time favorites and I’m sure you’ll agree. have a fabulous week! Looks awesome! 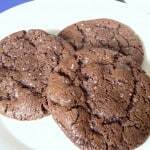 I remade your Double Chocolate Chip Salted Cookie recipe with coconut oil. Oh! So good! I’ll share it next week. Thanks for letting me put my twist on it. I should be thanking you Sally! I always like trying out new ideas on old standards and loved that you mixed that recipe up with coconut oil. 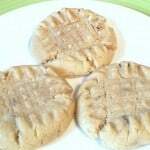 The salted top was a twist I added to an old family recipe and the it made a good cookie so much better. Thanks for the shout out and I look forward to trying your version. Have a fabulous week! thnx for sharing such great recipes..
Hi Garima–thanks for your question. We have backyard chickens and love eggs around here so the options I’m giving you I have not personally tried. But they are the standard ones used for egg replacement in recipes. 1). 1 tbsp. mayo=1 egg (mayo has egg in it so if they are truly egg-free then this one won’t work). Let me know if you try any of these substitutions and how the cookies turn out. I’m very curious. Have a great day! I love all things coconut (even almond joys…sorry), so these look tasty! No apology necessary Emily, lots of people love Almond Joys. The great thing is you can love both. Just ask my kids. LOL! Thanks for stopping by. What a delicious cookie! I think my oven might be a bit old and my cooking skills a bit young (had to leave the cookies in the oven for 13 minutes, and had trouble getting things “barely” mixed/incorporated. Still, they turned out fantastically! Great job Nairi! One thing I know for certain is that a good cookie recipe, just like a good friend, should always forgiving. So glad you love them as much as we do. Have a great day!